Over 165 EGUSD high school students participated in internships during the summer of 2018, employed and/or hosted in various positions in the region. These internships directly related to the training received in their academies and pathways. 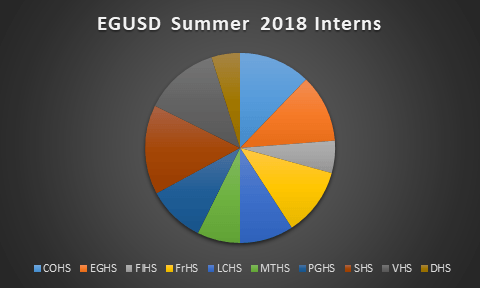 This 60%+ increase in internships over the prior summer is notable – but more impressive is that the numbers were collected from 10 participating EGUSD high schools. 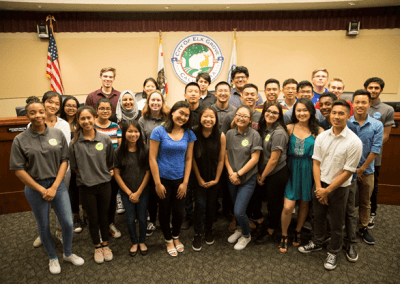 Intern hosts such as Intel, Lennar, Taylor Morrison, Kaiser, Apple, HAVE Angus, City of Elk Grove and many others supported students in their efforts to become college- and career-ready while students made use of their unencumbered summer hours. During the 2017-2018 school year, over 15,000 work-based learning student “engagements” were recorded including field trips, guest speakers, job shadows, after-school industry hosted workshops, and internships. The 25% increase of WBL over the 2016-2017 school year demonstrates the hard work and effort of pathway teachers and coordinators to encourage students to interact with industry partners to learn more about their options after high school. As we head into the 2018-2019 school year, we hope to find ways to attach these events to individual students as we prepare for the WBL College and Career Indicator on the California School Dashboard. In addition to receiving a new name for 2018, Elk Grove Civic Summer (formerly Summer at City Hall) underwent a major programmatic overhaul as well. In prior years, this two-week program culminated in two job shadow days with local public sector entities. This summer, the job shadows were expanded to three weeks of student internships around the region with various industry partners such as the City of Elk Grove, Cosumnes Community Services District, Paratransit, the Sacramento Library and the California Energy Commission. 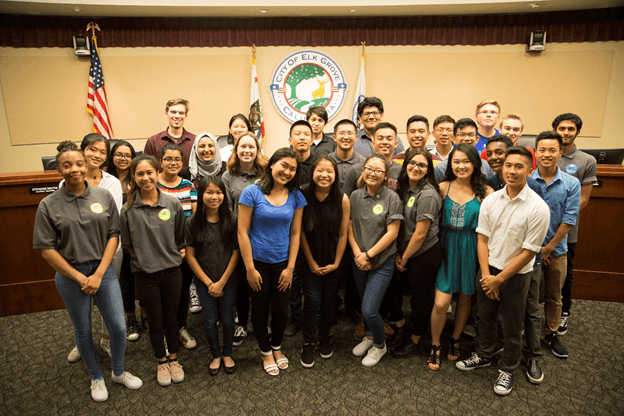 Twenty-nine students from six EGUSD high schools participated in this unique program created in partnership with the City of Elk Grove. Carlos Garcia, LAW Academy coordinator and teacher created the program 4 years ago to allow students to gain a greater appreciation for local government, civic empowerment, and rewarding careers in the public services sector. 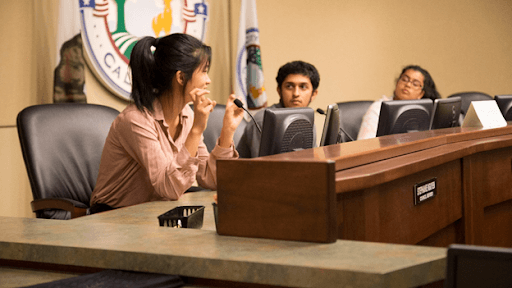 The two-week classroom portion of the program is held at Elk Grove City Hall and gave students the opportunity to hear from inspirational guest speakers such as city council members, Elk Grove’s mayor, fire chief, police chief and city manager. 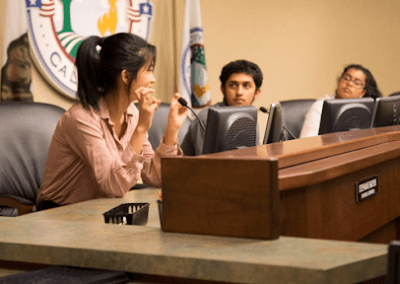 In addition, students in the program participated in a mock city council hearing and toured the State Capitol and local public sector facilities. Where can one find the same type of internships in the Lodi, CA area? We recommend checking with the Lodi Unified School District for Career Technical Education opportunities.